The process of painting Carnation, Lily, Lily, Rose is as interesting as the results itself. Sargent's friends of the time all attest to how much fun he had working on the painting, which might have been why it took him almost two years to complete it. Sargent painted Carnation, Lily, Lily, Rose in Cottonwood, a quaint English town that had once been a major stopping point for horses but declined with the advent of the railroad in the mid-1800s. The town was rediscovered in the 1800s by artists who used its lush scenery and themselves for entertainment. It was an epoch of zany self-discovery as the artists probed the countryside and their own artistic limits. They were very fond of the lighthearted song "The Wreath," whose refrain asks the question 'Have you seen my Flora pass this way?' to which the answer is 'Carnation, Lily, Lily, Rose'. In some ways, the nonsense lyrics of the song fit since Sargent; no one knows exactly why he painted Carnation, Lily, Lily, Rose or how he intended the portrait to be received. Sargent's inspiration for this painting came from a boating trip that he took along the Thames River, in which he saw Chinese lanterns hanging among trees and lilies. He began translating this inspiration onto the canvas in 1885 at the home of his painter friend F. D. Millet. At first he used the Millets' five year old daughter, but she was soon replaced by seven and eleven-year-old Dolly and Polly Barnard, the daughters of a friend of Millet's. The girls' ages made them more suitable models, but Sargent also chose them for their blond hair color. Sargent worked on this composition in the Impressionist manner, using natural light in natural settings (outdoors). However, because that magical moment between sunrise and sunset only happened for a few moments each day, Sargent was forced to paint only for these few minutes each day. Since he was using Impressionist techniques, he only painted in the moment, from September to early November in 1885. During this period, the roses gradually died and were replaced by artificial flowers fixed to withering bushes. 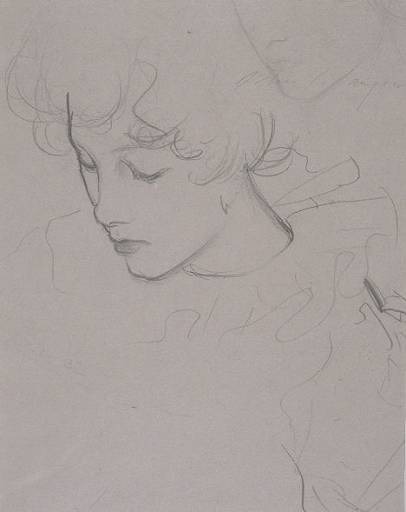 Sargent took to dressing the children in large sweaters, over which he would place the dresses that appear in the painting. Presumably the cold and withering settings grew to be too much for even Sargents' determination because he stopped painting in November of 1885 to begin anew the following year. 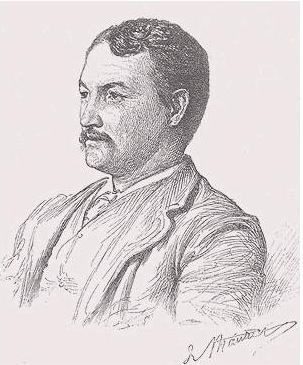 He completed the painting in September of 1886. Sargent would play tennis with his friends until the light was just right outside. Then he would sit by the easel and paints he had already set up. First, he would place himself at a distance from the canvas, then, when the light hit the canvas in a certain way he would dash to it and paint for a few moments. The artist would repeat this mad dash between scenery and canvas until the light had faded. Then, he would join his friends for a last round of tennis before the light had completely dimmed. 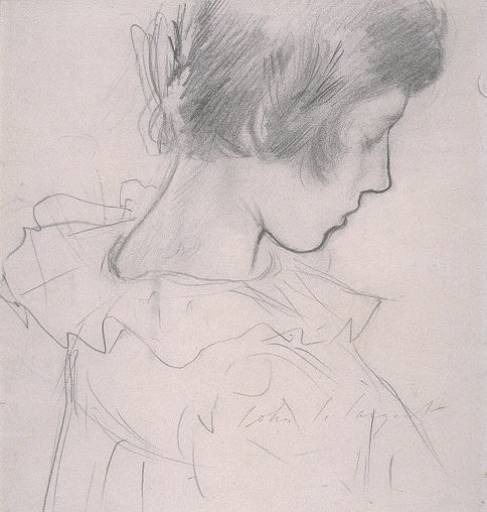 Sargent also made many preliminary sketches of the girls, more perhaps than any other of his works. Surviving sketches show him drafting the girls in profile. Also, if they were playing and he caught their pose just right, he would shout "stop as you are," "don't move! I must make a sketch of you" and off he would fly to fetch his easel and paints while the children were as immobile as statues. Some of the credit for this painting must be given to the patience of these little girls.